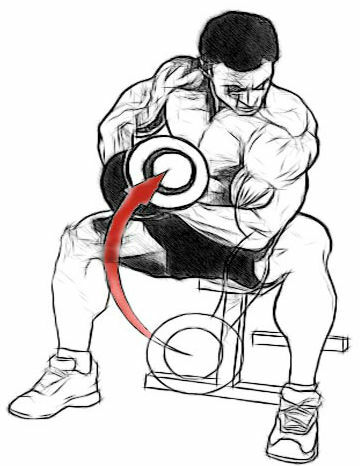 Every men want great and muscular biceps when they start workout in the gym.Making big biceps is not that different than toning other muscles in the body.Start some great exercises for developing great biceps,these exercises are very effective for making huge biceps. 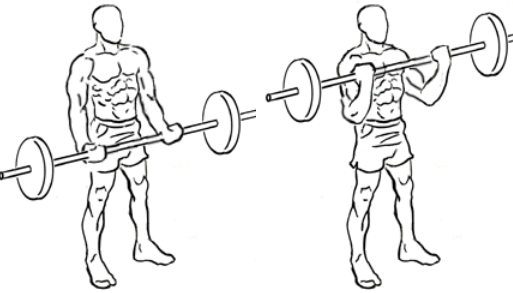 Standing Biceps Curl Bar - Stand in straight position and hold the bar in your hand and hold your hand so that the palm is facing upward or outward.Dont move upper body as you curl the bar and contract the biceps as you breathe out.Take 3 to 4 sets according to your capacity and increase weight in each set for better results. Hammer Curls In Standing Position - Good for developing strong and muscular biceps,stand with feet shoulder width hold the dumbbells in both hands and raise your dumbbell on 90 degree.Take 3 to 4 sets with 10 to 12 reps.
Incline Dumbbell Curl - Very effective and best biceps workout and also very easy for beginners.Sit back on incline bench and hold the dumbbells in both hands and your elbows should be close to the torso. 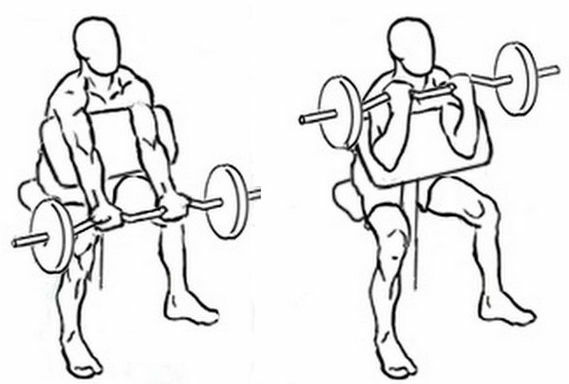 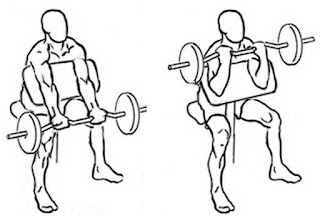 Curl the weights forward while contracting the biceps as you breathe out.Take 3 to 4 sets of 10 to 12 reps. Preacher Curl - Best exercise for trained your biceps muscles.Hold the bar according to shoulder length and complete the movement,fully stretched tour biceps and focus on biceps muscles.Take 3 to 4 sets with 10 to 12 reps in each sets. 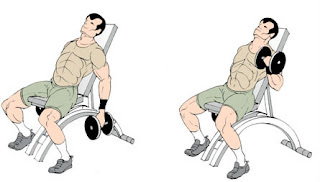 Concentration Curls - Great exercise for build great and strong biceps and also increase your strengthen of your biceps.Sit on a flat bench and hold one dumbbell in front of you between legs,now use your right arm to pick the dumbbell up and down and same with left arm.Take 3 to 4 sets with 12 to 15 reps in each set.Increase dumbbell weight for better results.